Most years, I'm not impressed with the Phalaenopsis at the show, but I really liked most of the ones I got photos of this year. Whether this is because they're getting better, my standards are lowering, or I'm just not taking photos of the boring ones, I'm not sure, but if I had to guess, I'd guess the third option. 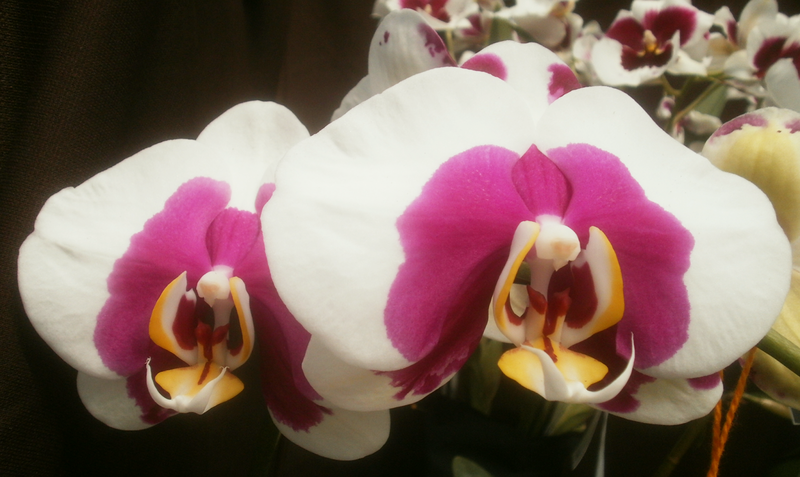 I know there was at least one gigantic plain-white phal that I didn't bother taking a picture of. Wow. That is a spectacular Phalaenopsis.